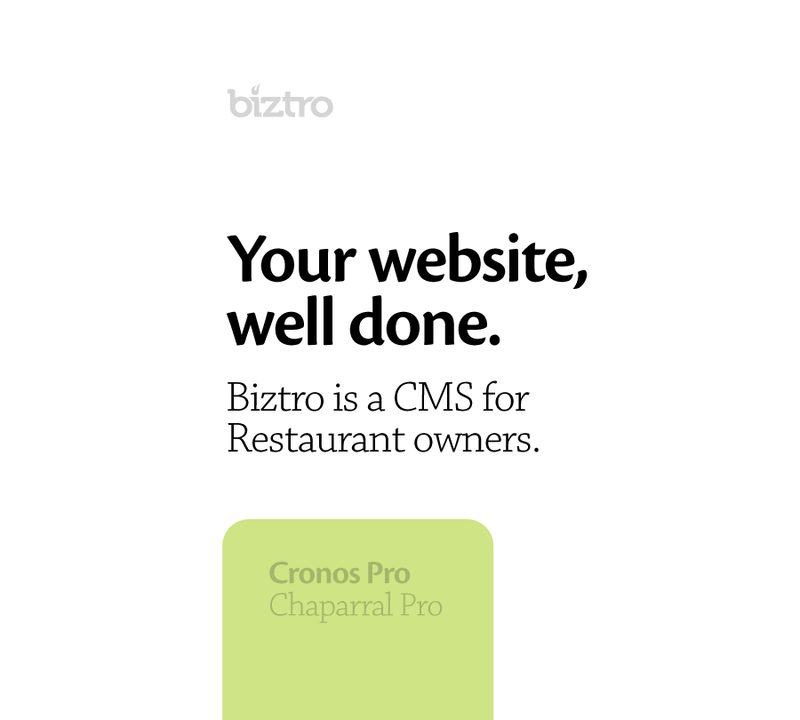 A simple idea between a group of friends and I: a CMS (content management system) with free hosting tailored to restaurant owners. The idea was great for a niche market like this, it just needed a name that was clever but obvious. 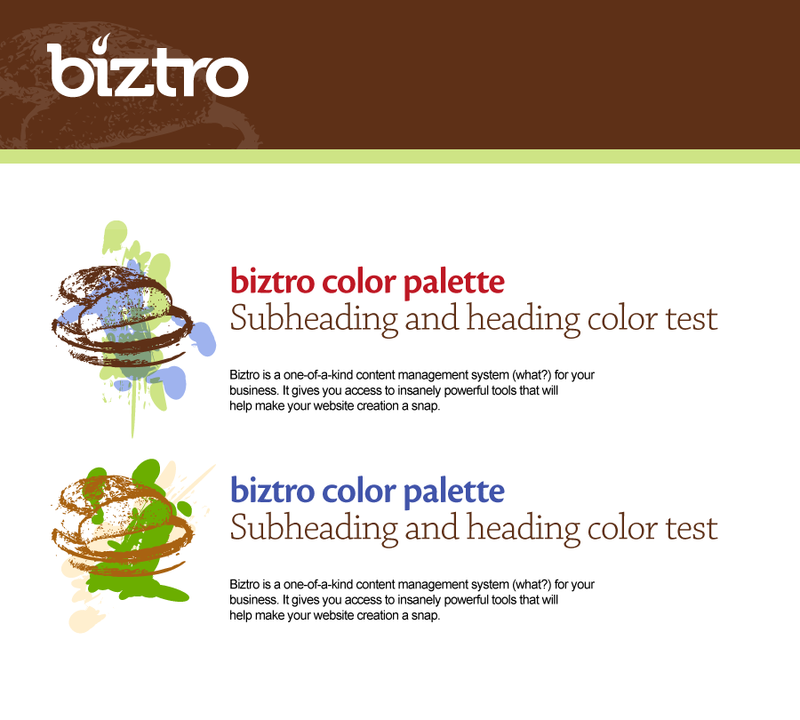 Playing on “Biz and "Bistro” I created “Biztro”. Once the name was agreed upon, I set myself to designing the logo, brand styleguide and landing page wireframes. The project was put off because of time constraints, but it was exciting to work on. Below is the scope of work I did during the project’s lifespan. The top three logo design ideas, and a fourth design. I had an aesthetic that had flair and movement, but it felt more appropriate to give it a bolder and clean look, particularly with the context. 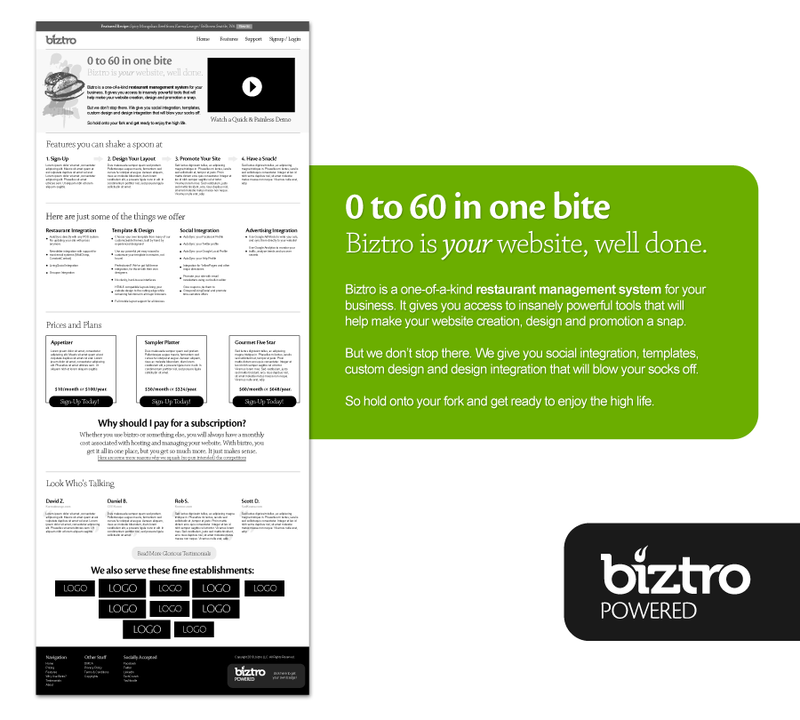 The full landing page wireframe and layout, following a common strategy of breaking content into sections: 1. intro messaging and CTA, 2. feature list simplified, 3. detailed features, 4. price plans, 5. customer testimonials, and 6. customer logos for “social proof”. 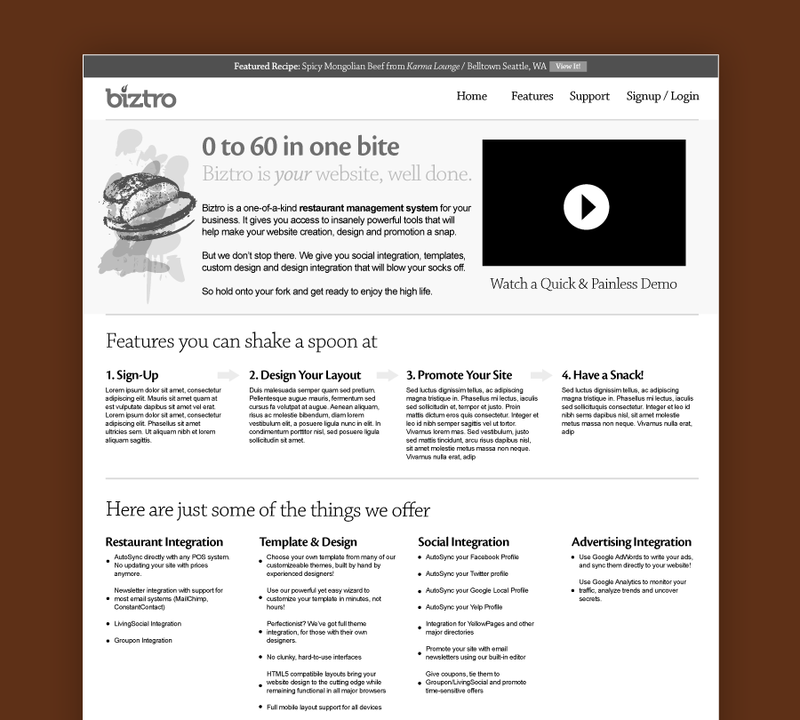 Closeup of the homepage wireframe. I wrote all copy and created the vision for the layout and features. 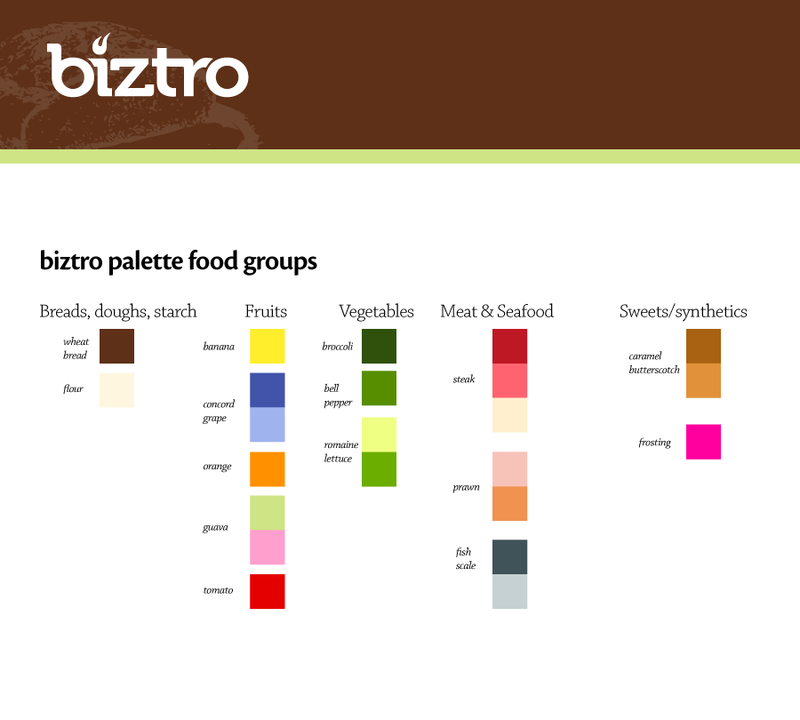 The full color palette, broken out into groups of foods to connect the theme across all branding components.